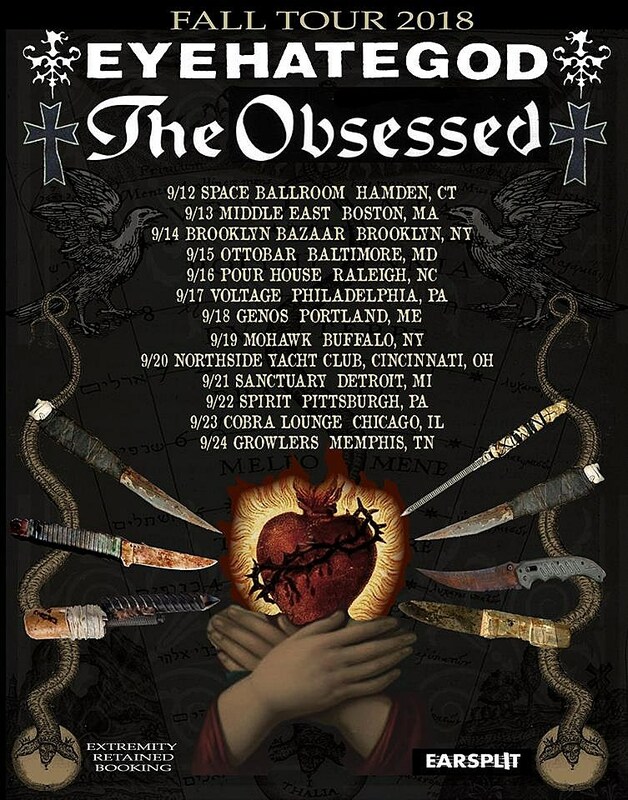 The amazing metal double bill of Eyehategod and The Obsessed have announced a tour for this fall. It kicks off with Northeast shows in Hamden, Boston, Brooklyn, and more, and wraps up in Memphis. The Brooklyn show happens September 14 at Brooklyn Bazaar with more bands TBA (tickets). All dates are listed below. Eyehategod, who are back with frontman Mike IX, just wrapped up a tour with Black Label Society and Corrosion of Conformity over the weekend. They also play Psycho Las Vegas this coming weekend. The Obsessed returned last year with Sacred, their first album in over 20 years. Frontman Scott “Wino” Weinrich is currently on a solo tour with Xasthur, and that pair is about to begin a West Coast run with Six Organs this week.